MV staff at Motorcycle Live had to turn away deposits for the company's new three-cylinder 675cc sports bike. Show rules don't allow manufacturers to sell bikes from the stands, so eager customers for the new F3 went away with the bank accounts intact. 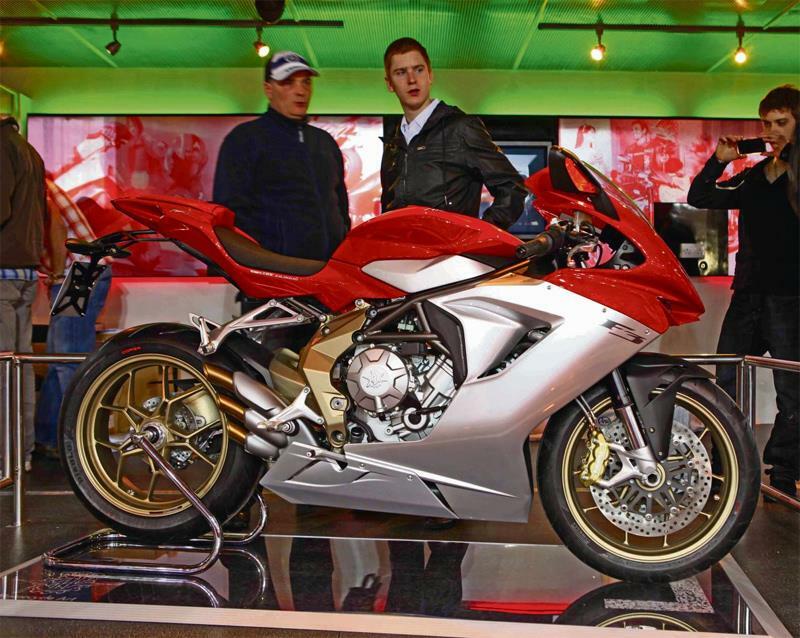 It seems Triumph Daytona 675 owners are high among the list of interested parties in the Italian version of the inline three-cylinder sportsbike as at least two had put their names down by the end of the first day.